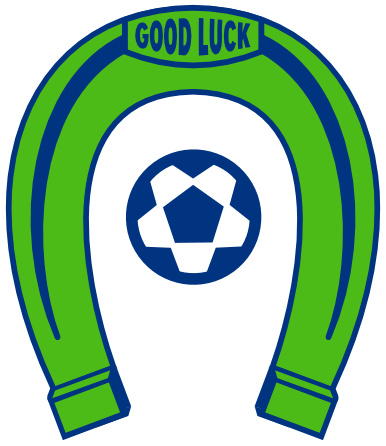 OLYMPIA, Wash. – Three Oly Town Artesians have been named to the first ever All-Western Indoor Soccer League teams, the league announced today. Nate Boatright was voted to the All-WISL First Team, Chris Pugh earned Second Team honors, and Collin Tate took home a Third Team nod. Olympia native Nate Boatright was voted to the First Team by club operators and coaches because of his five goal, five assist season. 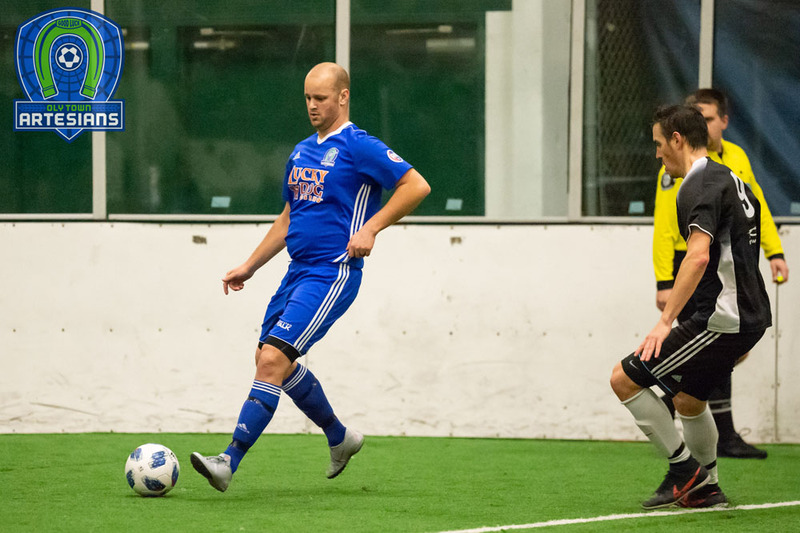 The Evergreen State alum has been with the Artesians since the 2014-2015 inaugural season and provided solid, veteran leadership to a young and inexperienced Oly Town roster. A tough defender that also plays in the midfield, Nate teamed up with his 17 year-old brother Eli this season and scored on a Boatright to Boatright combination. 38 year-old Chris Pugh has been around the Artesians for many years but took time off due to injuries and for family but finally was able to play an entire season providing veteran leadership for the club. The tough forward scored seven goals, good enough for second on the team. Another Evergreen State product, Pugh was named Offensive Player Of The Week for his hat trick against the Oly-Pen Force on January 26th. 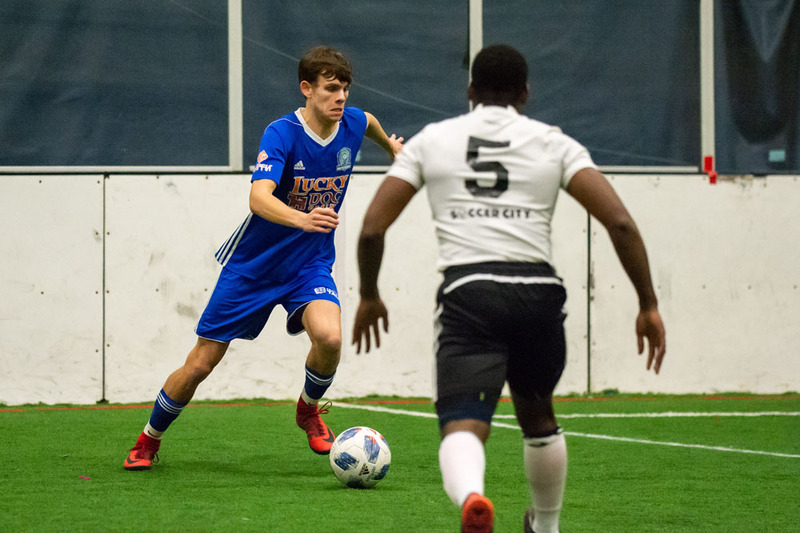 In his first season of indoor soccer, Collin Tate led the Artesians with eight goals scored in nine games. Another Evergreen product, Tate played nine games after joining the club once the Geoducks’ season ended. The Timberline grad also chipped in three assists, none bigger than the one that he delivered to Eli Boatright that tied the game in the last minute of a 4-4 draw against the Snohomish Skyhawks. 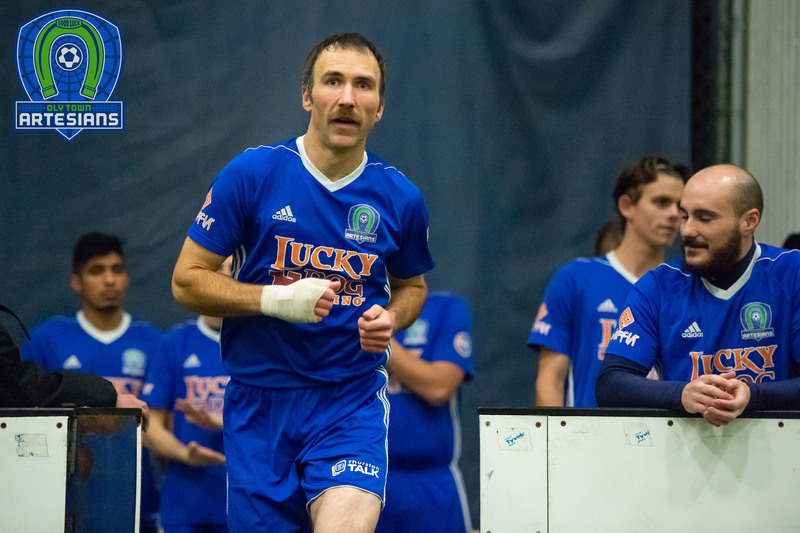 Joining Boatright on the All-WISL First Team are Snohomish’s John Troka, Bellingham’s Richard Henderson, and three Tacoma Stars Reserves: Micah Wenzel, Danny Minniti and goalkeeper Mike Arguello. Former Artesians and current Tacoma Narrows FC players JC Henson and Nate Salveson were named to the Third Team. 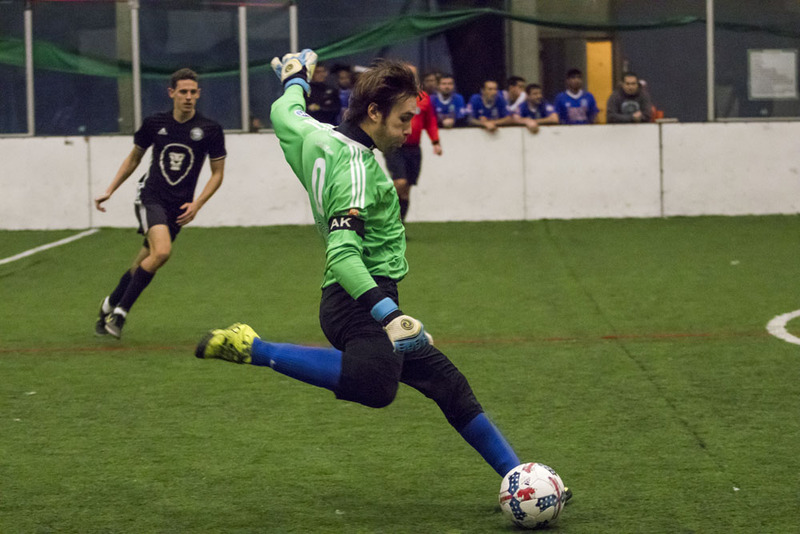 Club operators and coaches nominated their own players for the All-WISL teams and then voted on opposing players to determine the first three teams. The Artesians return to action Saturday night, February 23rd, for one last game when they take on the Oly Legends on Austin Kelley Night. The friendly is Olympia’s celebration of soccer, in honor of our friend and teammate Austin Kelley. First kick is set for 6:30 with doors opening at 5:45. OLYMPIA, Wash. – The Oly Town Artesians postponed their Austin Kelley Night friendly soccer match originally scheduled for Saturday, February 9th due to the inclement weather, but have rescheduled the bout for Saturday, February 23rd at 6:30 PM. OLYMPIA, Wash. – Returning for the first time from an off-season injury, Oly Town Artesians goalkeeper JJ Olson made 26 saves and held the high-powered Bellingham offense to just two goals over the first three quarters on Saturday night, and was voted Western Indoor Soccer League Defensive Player Of The Week for week 10 by league coaches and club operators. The Saint Martin’s grad played a game for the ages. On The Pavilion’s small field that traditionally yields high scores and against the #2 team in the league both in record and in scoring who scored 14 goals on the Artesians earlier in the season, Olson held Bellingham to just one goal at even strength in a 5-4 loss. He made 26 saves despite facing constant pressure while Oly Town’s offense struggled to keep possession in the second half. Eventually, the Hammers took advantage and scored two power play goals and scored once with a man advantage after pulling their goalkeeper to add a sixth attacker. 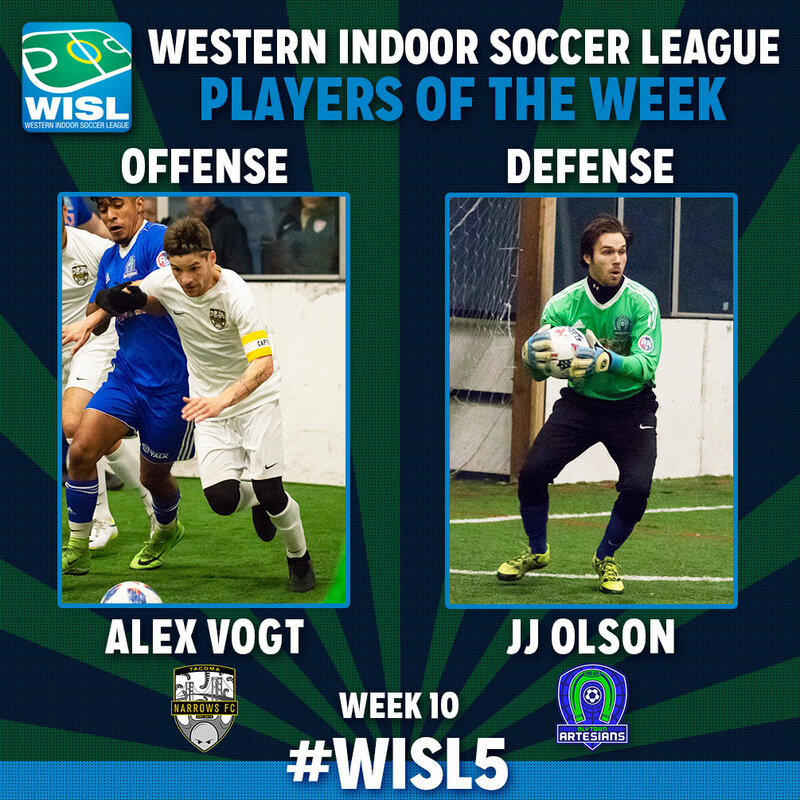 This is Olson’s second WISL Player Of The Week award. 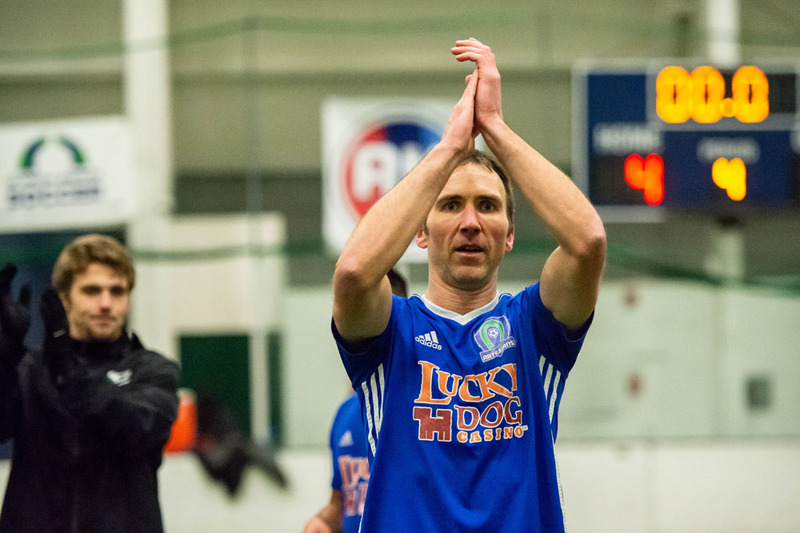 The Lakeville, Minnesota native took home the prize last season with a big 7-5 win over the Tacoma Stars Reserves. 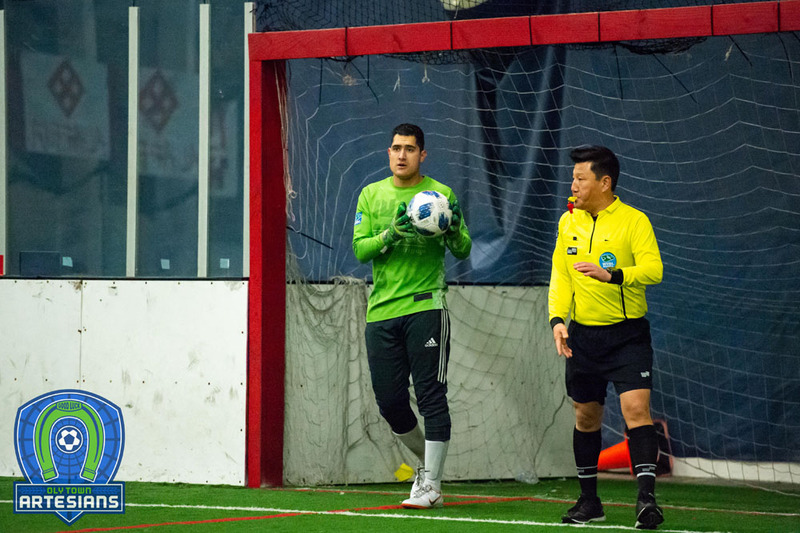 In his fourth season with the Artesians, Olson has started the most games at goalkeeper and has the most wins of any goalkeeper in club history but was only able to play in one game this season. Injuries beset Oly Town keepers this season. Ryan Perkins and Bradley Hanson both suffered season ending injuries early on. Defender Ryan Fakkema was converted into a keeper and played admirably in five games. This was the third Player Of The Week award for the Artesians this season. Eli Boatright was named Offensive POTW for his game tying goal in a 4-4 week nine draw in Snohomish. And Chris Pugh was also named Offensive POTW last week for his hat trick against the Oly-Pen Force. 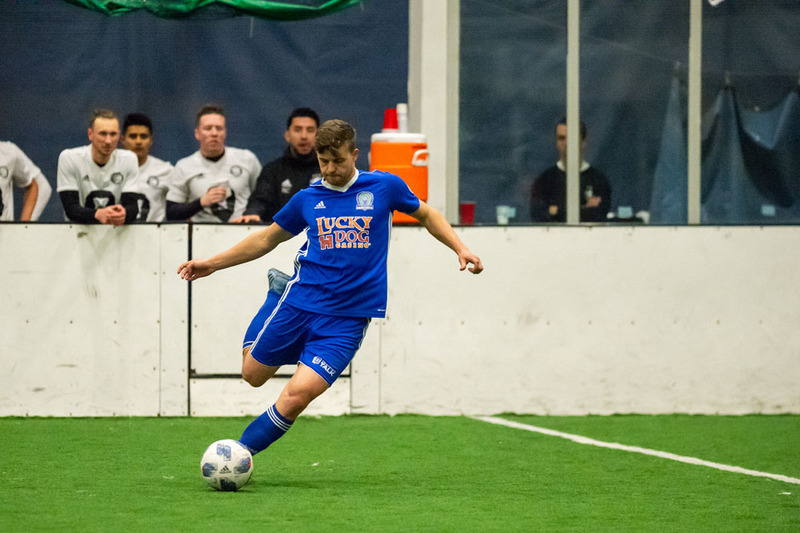 The Oly Town Artesians wrapped up their league schedule with Olson’s grand performance, but they will host one more game this Saturday night with Austin Kelley Night, an annual celebration of soccer in memory of friend and teammate Austin Kelley. First kick in the friendly between the Artesians and the Oly Legends is set for 6:30 at The Pavilion at The Evergreen State College.